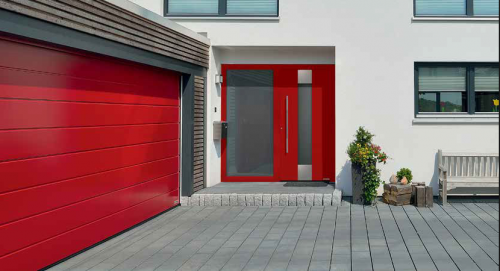 At Garador and Thermsure, we pride ourselves on offering a complete range of quality garage doors, so whether you’re looking for an Up & Over, Sectional, Roller or Side Hinged design, we have a great solution for you. Our range of garage doors has been designed carefully to appeal to all tastes. We have a wide range of standard colours, door types, materials and designs to choose from, so you’ll easily find a garage door that is in keeping with the style of your property. Our diverse range of garage doors has been engineered with durability, reliability and security as standard, so you have the peace of mind that your Garador will stand the test of time and be a stylish, long-lasting and cost-effective addition to your home. To find out more about the types of garage door available, please call Thermsure and either arrange a visit on site to discuss your requirements we can help design advise and supply and fit these superb Doors. All of our work is guaranteed.